What a pity. Even while digital and web world are snatching up veteran guidebook publishers, and observers debate the industry’s uncertain future, I’m certain a guidebook remains both a travel planner’s MVP, yet at the same time one of travel’s most underrated contributors. And that if more Americans knew how to use one, even for 10 minutes, they’d travel more and farther — and better. Over the past three years, travel writers and travelers have increasingly equated a sense of “authenticity” or “local experiences” with things “not found in a guidebook.” On Google, references to such phrases has increased by 344% from 2009 to 2012, rising from 150 instances a year to a devilish 666 last year. 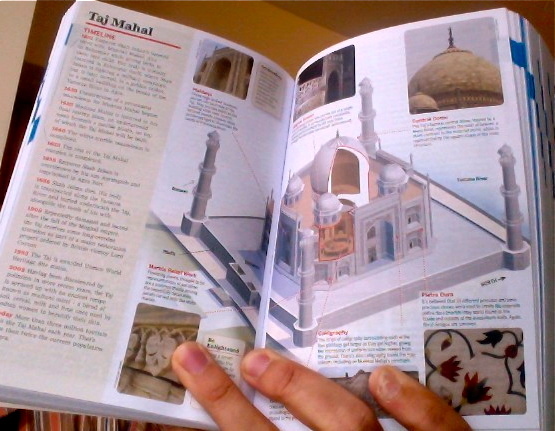 National Geographic Traveler’s “Beyond the Guidebook: Where the Locals Go” blog commonly has less information than a guidebook, for example its breezy article on the Taj Mahal compared with Lonely Planet’s five-page special section. During a recent Twitter #chat group, a few dozen people squarely defined “off-the-beaten-track destinations” as a place that’s “not in a guidebook.” Yet all 70-plus examples the #chat group gave of their favorite “off-track” destinations were in guidebooks! And Emmy-winning Equitrekker Darley Newman champions her TV show for covering places “not in guidebooks.” Yet her top pick of an “untapped destination”? Cappadocia, Turkey, a highlight covered in every Turkey guidebook and called “the most interesting site” in the country by Tony Wheeler in Lonely Planet’s first guidebook. Back in 1973! Poor guidebooks. Can’t get a break. Maybe we should start over from the beginning? Yes. In the 21st century, a “guidebook” is increasingly less defined by its form (on page, or as an app on a mobile device) but how the content was researched and created. In other words, by travel experts who go to places they write about, scour the ground for as many options for dining, sleeping, doing stuff as possible. For less than the cost of a moderately priced dinner for one person, with a glass of wine and that apple crumble you eyed on the way in, you could have the eyes and ears of a handful of travel experts that have, over a generation or two, combed the place you’re going. Ignoring that resource is a lot like ignoring a local that is keen to shed tips and context of a place you’re visiting. As with any advice, you can choose to use it, or not. 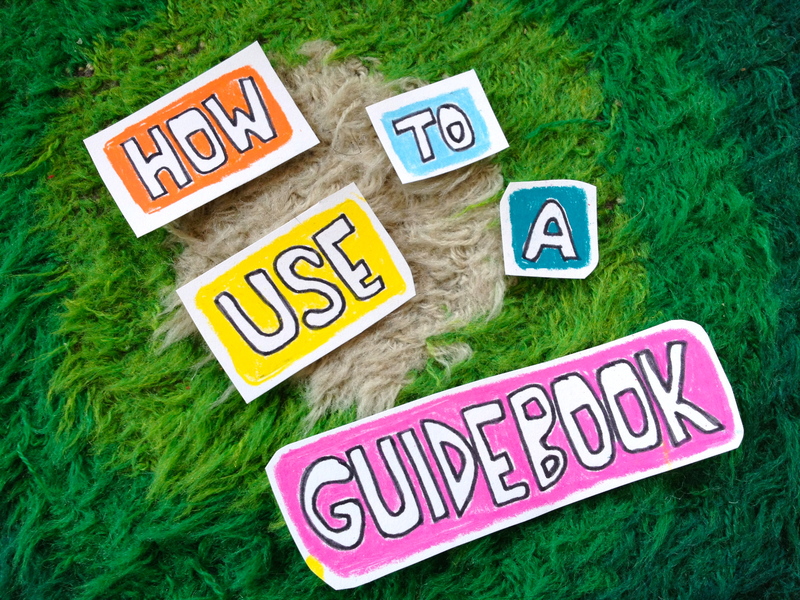 Do you always need a guidebook? Many people seem to overlook this, but the best time to use a guidebook is before a trip. Even before you know where you’re going. I’d say a guidebook’s life should be more like 80% before a trip and 20% on the ground. That means a guidebook is ideally already into its “retiree” period by the time you’ve landed in Santiago or Taipei. Say you’re going to Toronto or Lima or Miami for work and want to add on four to seven days. Or you’ll be in the area visiting family and want to add a few days without the headaches of Aunt Polly’s negativity. A guidebook can help. In 10 minutes. 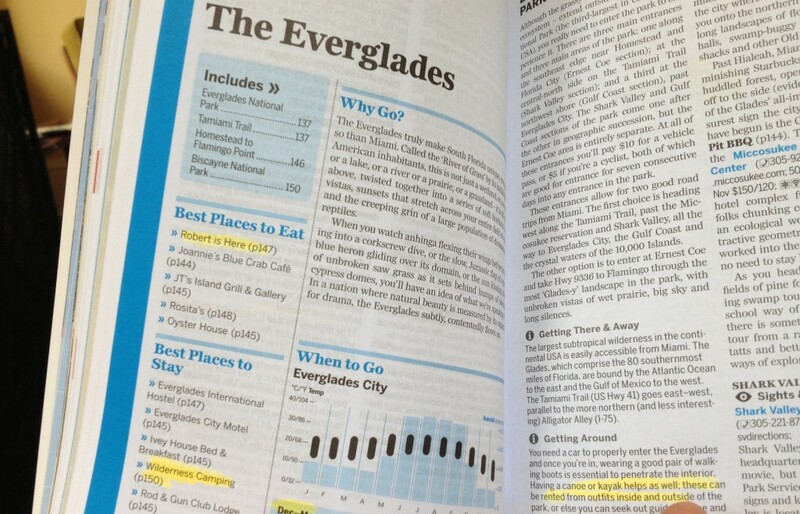 Let’s look at the Miami example using Lonely Planet’s Florida guidebook. 1. I often start looking at the most unexpected, buried part of a guidebook. Since I know the starting point is from Miami, I simply look at Miami’s transport details (usually at end of a city section in most guidebooks) to see what your nearby options will be. You can see quickly that it’s going to be hard to go far without a rental car. So plan on one. 2. I next look at the front-of-the-book photos, and just as importantly the regional map to zero in on areas nearest to where you’re going. 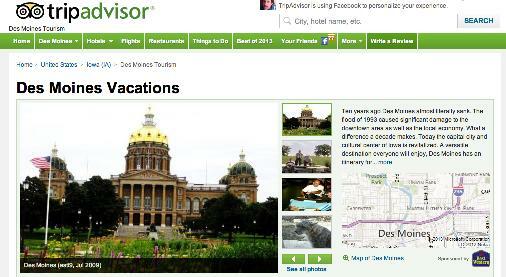 Look for attractions, parks, scenic drives, fun towns that appeal to you. In Lonely Planet’s guide, the front-of-the-book highlights map showed a few potential highlights nearby. The Everglades jumped out to me. I’ve not been, and really know nothing about the particulars of visiting. Now I can follow the page references here to learn more. 3. I go to the Everglades chapter, but I certainly don’t read every word. Not yet, and probably not at all. I start by reading the highlights in the front of the chapter, then skim the opening paragraph of each destination section. All through the Everglades chapter. That way I can see what appeals to me the most. In some cases, the winner for you will not be a “highlight.” You can almost always find it quickly this way. In the case of the Everglades, I find in the “when to go” section that bugs and heat make a summer visit unappealing, but off-season “wilderness camping” sounds intriguing. I need more information on this. So I read on. And another chapter highlight catches me eye. Maybe that’s less “adventurous”? 3. After zeroing it down to two or three options, I try to find a next action I can take on my own by phone or online. Often that’s either an appealing hotel or B&B I’d like to stay at (some guidebooks have icons signaling author’s favorites — look at those first) or, in this case, an operator, who can set me up with a canoe, a map, and the gear I’d need to tackle the Everglades on my own or on a tour. I might just do this. Now, that was ten minutes. I could have done that in a bookstore. I have more research to do, but this gets me started. Perhaps next I contact the canoe company on my own, find out about those gators, and whether I’d feel comfortable tempting them on my own or not. I’m likely to do this before buying the book — or instead of it. Can’t you get the same details online? Most user-generated sites offer essentially no help on this. Then I gave 10 minutes each to research the area in Travel & Leisure magazine, the New York Times travel section, Trip Advisor, and a couple Italy guidebooks (I had Fodor’s and Lonely Planet handy). T&L and NYT only had a couple articles each from the period over the past 10 years, though I found them useful. On TripAdvisor, I found the “where to go” so elusive, I spent most of my time navigating pages, and then only found limited reward. If you KNOW you need a hotel in Lecce, great, you can find it. But how can you find that Lecce is the place you want? What are you missing, beaches, scenic drives, rugged coasts, cave homes, farmhouse B&Bs. Who knows? In short, I had many of my first questions already answered. I made this whole destination feel REAL. I was deeper into “the boot.” And more inspired to go there. And I was quickly hooked. I mean, did you know Maine is like an eastern Alaska, with lumberjack roads and fly-in cabins on remote lakes with no road access? That some areas speak French? Or that in 1839 there was a “war” between armed lumberjacks of the US and British Canada? And the only fatality came, perhaps, when an American was run over by a supply wagon while he was sleeping? GOLD, this. Looking ahead, I really have no idea what’s going to happen to the guidebook industry. I think they’ll increasingly find a home in the digital world. They have no choice but to. But as long as the notion of expertise goes with it, I’m fine with whatever form works. If that form of guidebook content begins to disappear altogether, what a shame. Even more so that they’ve been around us all these years, a mine of travel wisdom increasingly untapped. Here’s how to make a travel video, or rather NOT to make one, based on many errors I’ve made in creating 100 and counting videos. Tagged guidebooks, how to use guidebooks. Bookmark the permalink. Simply brilliant. Love the parts where the guidebook poo-pooers are poo-pooed. I like guidebooks and I think they’re underrated. Guidebooks are the pillars of trip planning because they give you a condensed overview of what to see and do. I always use more than one guidebook to see if there is a trend in what their recommendations are. For instance, if every guidebook is saying “the number one sight in Split, Croatia is Diocletian’s Palace,” then I’m going. Guidebooks also excel in having maps. What website has maps? None. I think some are better than others – LP for countries; Time Out for cities. Time Out is another great example of creating smaller mini- city guides to showcase what’s best to see. That said, guidebooks don’t cover the affordable boutique hotel market (which is why I won’t mention Wallpaper). My point is that guidebooks are a good base and need to continue to be in circulation because they are useful tools, written by handpicked experts who are either immersed in a city or already live there (for the most part). Do I wish they were treated better? (a.k.a. Thomas Khonstamm). Yeah but the reality is what traveler writer gets paid well, regardless of the medium? Obviously, I would hope that they’re writing the guide because they love the destination and want to inform potential visitors of the best that destination has to offer. I love that guidebooks can inspire other ideas that can be researched further through other mediums – i.e. magazine and newspaper articles, talking to locals/friends who have been. I’ll never use one source and I don’t think anyone should. The other thing is to purposely not over-research but let the serendipity of travel happen. 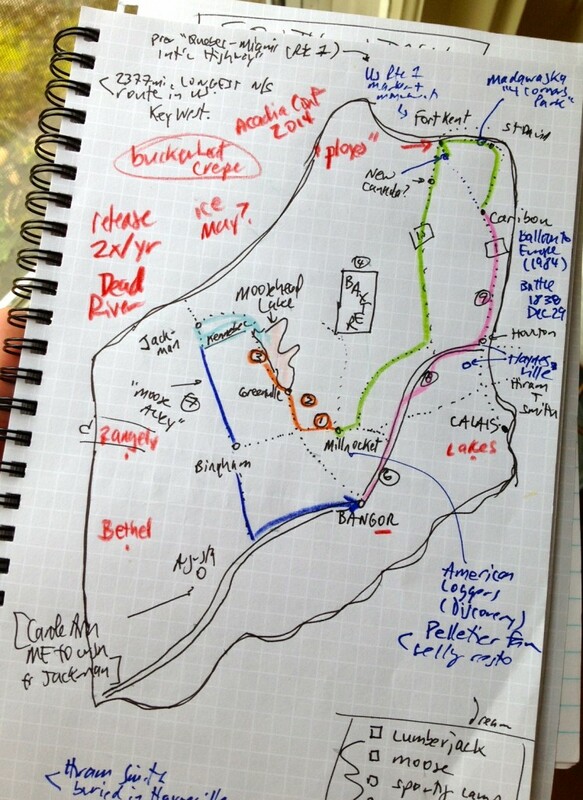 Having an outline from a good guidebook can get you there, so you’re not wasting your time. Great piece. I use guidebooks all the time to plan what I am going to do after I get to a place. Some of mine are on my Kindle, but I still like the books for guidebooks as they are easier to go from page to page and jump around. I can’t imagine doing one of my extended home exchange trips without one. All very well put (spoken as another guidebook fan). My favorite is all the people who shun guidebooks and then act as if they are inventing cool bars and restaurants out of thin air just because they were recommended by someone at the hostel. Meanwhile, the guy at the hostel probably read about them in the guidebook anyway. Thanks for the nice comments! I don’t always use guidebooks (and far less often on-the-ground while traveling), but long long may they run. I’m an author of one, and I use them. This post was so entertaining and so appreciated. I posted updates about it on my social media networks. Thanks for the fun read. Wow and thank you! 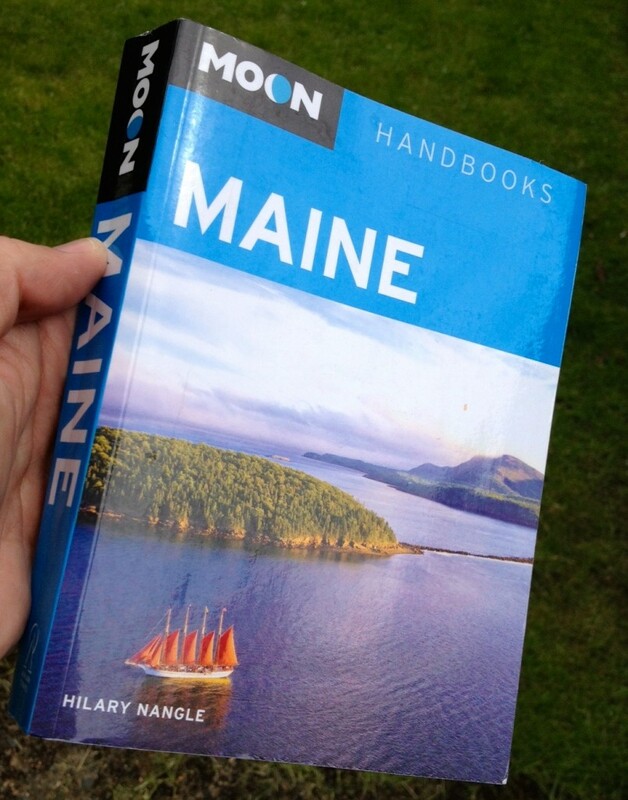 Author of Moon Maine ( and Moon Coastal Maine and Moon Acadia National Park), here. I’m thrilled that not only did you use my book to research your trip, but that it met your needs and enlightened you to some of the state’s fascinating and sometimes quirky history and places. Next time you’re in the state, give a holler. The lobster’s on me. Fantastic. Almost every clueless tourist I meet who is is the wrong place at the wrong time and is looking dazed has never cracked open a guidebook before arrival. Besides $3000 experiences for $30, a good one gives you 100 doses of hassle avoidance and gets you six levels deeper on understanding the area and the culture. Great illustrations of how to actually use one correctly. I agree with you 100%. I’ve tried traveling both with and without a guidebook, and even in this day and age when almost all information is available on the internet, I still find guidebooks to be indispensable. Great article, Bob. But I’m not sure it’s the expertise that provides the improved experience you get from a guidebook. I reckon it’s the contextualisation. It’s that big picture overview, that lets you figure out which places are the kinds of places you’d be interested in, before you dive into the detail of finding the exact right hotel or reviewing train timetables and ticket prices, or choosing a place to have dinner (all of which can be done better by non-guidebook guides). I’m not sure it matters that much who the author is, just that it gives you that overview, a guide to highlights, and a way to figure out how to tailor a trip to be the trip you want to have. I think we say the same things. “Expertise” means people who have skill/knowledge of a place, to me. That comes not just in Author A, but that they’re following Author B & C & D, so a guidebook has cumulative knowledge, or expertise, built in. As far as context, only the person who goes to 27 Bucharest museums, or talks to all the ship captains of Bordrum, or sees 101 hotels in NYC, knows the context of what an extra $15 will get you. 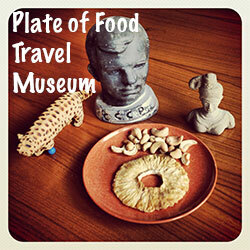 Or that the Museum of the Romanian Peasant is the sweetest, most surprising museum in the world. I think the user-generated world — while incredibly useful — is very very far away from capturing that big picture of a place, as of yet. I totally agree that a guidebook is used 80% before a trip. By the time I arrive, I’m more or less done with it already. 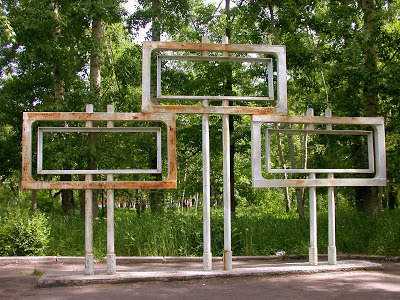 Specific questions are also answered far quicker by checking a guidebook- someone once asked me whether he could connect to Beijing via the Baikal-Amur Mainline and all I had to do was to open my Trans-Siberian LP and look at the BAM route map. That took less than two minutes. Agree with most of what you write here, but I personally have lost a lot of faith in guidebooks in recent years, mostly down to one book that really lets the side down. It covers an area I spend around half my year. It’s not the most traveled to destination in the world but has a growing number of tourists each year, which to me means it needs a bloody well written and accurate book. Virtually every section in this guide has a glaring error (by the way, this is one of big ones by a company that rhymes with ‘Only Gannet’, so your inclination would be to trust it) which is beyond excusable – maps, prices, routes, even the phrasebook section (though to be fair it’s an exceptionally tricky language). I happen to know the author (just about every expat knows every other here) so I delicately brought it up with him, and his excuse, ‘why bother being accurate? This place changes so fast. I pretty much rehashed the one the predated me and guessed any differences. I mean, who’s going to know?!’. I work in the travel industry and come across errors in guidebooks frequently in my own life as well as needing to correct my clients who have trusted their book too much. It makes me wonder how many other guidebook authors take the same attitude as my acquaintance? I agree with you that guidebooks are still where it’s at for travel planning. I’m on a long-term trip in Latin America and didn’t bother buying a guidebook – I figured the apps on my smartphone would be adequate and would weigh less. Unfortunately, data service is often spotty, and I’ve ended up poring over other people’s guidebooks whenever I get the chance. When I’m writing my blog (shameless plug: http://inlatinamerica.wordpress.com) and I’m giving background information on a city, I usually found it by thumbing through a guidebook. I look forward to the travel experts’ websites catching up to the informational and interest value provided by guidebooks. I completely agree with you – I love my guidebooks as a concise, single location to get overview information and help decide what things I am interested in. You can then use other resources to further research if you need/desire. I also have found that there are times and places that I can’t get wifi or data service for my phone and would have been unable to pull any info. Guidebooks are where its at! Love this. I adore guidebooks! I use them to help me with a city, but also do my own thing. Still I know I’d be lost in most places without one. Interesting, and very enjoyable, post — I contribute to guidebooks, but don’t use them, mainly as I don’t go for long holidays in unknown destinations so much anymore. I do frequently end up in regional cities for weekend visits and for that I Google insider’s guides in travel mags and newspapers, scour them for hit-lists on what to and where to go. This is, I find, an effective solution for short trips to a single destination. So guidebooks aren’t obviously always necessary, as you write yourself in the post. Thank you, thank you……. I was planning a 3 weeks trip to SE Asia with my sister. This is the first time i was using a guidebook, even though i travel atleast 3 times a year, big trips too. I looked through lonely planet got confused and gave up on it and went online for info. Then i read this article, opened my lonely planet again and the jumble of words now all makes sense. So, thank you from the bottom of my heart. What a great article. Although I used to use guidebooks fairly often, I gave it up for some reason. (Mostly weight. I tried buying a couple for Kindle. Worthless.) I’m adopting your suggestion, though. I’m going to use them to plan, not to carry. I love everything about this. I have always been a huge fan of (well-written) guidebooks, mainly for the prior research aspect. 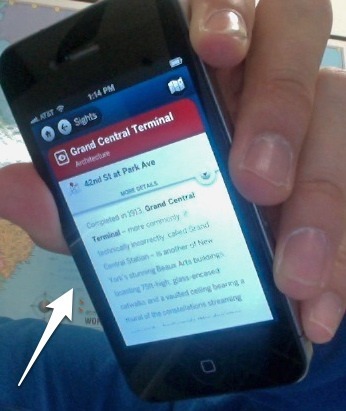 I can’t tell you how many people I meet while traveling who can’t wait to try out some new travel app or locate a helpful website they’ve bookmarked on their phone, only to spend half of their day looking for a place with free WiFi (not super common outside of the US) so they can access it. Great article. I don’t follow everything in the guidebooks – especially restaurants and hotels – BUT for places to go, best times to go, how to get there, how to navigate, what to do… they are really valuable. I travel solo. By studying maps and reading guide books, I have the knowledge to go confidently. Oh, and I usually get them from the library before going and I don’t lug one around with me but download the chapters I need onto my tablet. 1) Most travelers don’t buy guidebooks–but then again, most travelers didn’t buy guidebooks in the heyday of print, either. They just got by with free tourist maps, brochures, and the services of tour leaders or sightseeing guides. 3) In many countries, it’s possible to find locally-published guidebooks that are inexpensive and more than adequate for a stay of a few days to a week. The sales of such guidebooks probably don’t show up in Publishers Weekly statistics, but the fact that the books are published in multiple languages and sold by souvenir shops, newsstands, etc. would suggest that not all successful guidebooks are published by the likes of Fodors or Lonely Planet. The first thing I do after deciding to go somewhere is buy a guide book – I think it’s the best way to get a foundational idea of a place and what’s available. Your chart for what types of of places/trips should benefit a guide book is spot on! Awesome post – I can now email this to every naysayer (particularly bloggers;-)) who claims that online travel info (Trip Advisor and the like) is more up to date! And I laughed at your comment re: explaining to folks what a guidebook is – I can’t tell you how many times that happened to me in Belize! So I carried a copy of the old edition with me every day. In fact the worst thing about writing for a travel guide IMHO is you have to explain in almost every single hotel and restaurant you’re not selling advertisements. Other than that, great article. hope guide books will survive all the looming threats such as internet piracy. Thanks for the comment Mr Van. I agree that if a guidebook only lists every option it’s not of much more use than a phonebook. 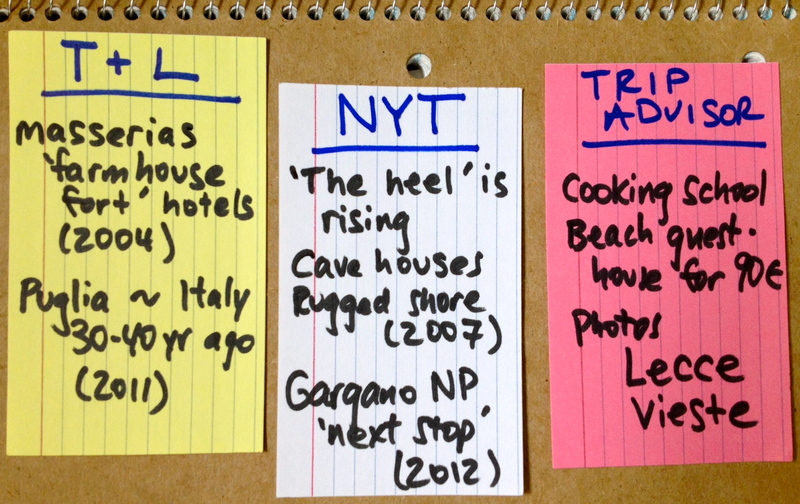 My only real gripe with Footprint, for example, is along those lines: phonebookish listings of accommodations. BUT what may not be shown is how it was vetted to come up with it. 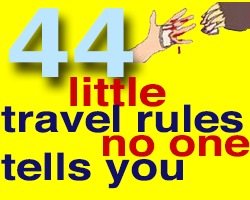 If I write about 45 hotels in Saigon, I may have visited 70 to get there. It’s power of inclusion. And while not an ad, it’s showing a review or “endorsement” by inclusion. Guidebooks usually focus on positive, and not put in things they don’t like, or thing that’s worthy to some travelers. Great read. I totally agree with you. 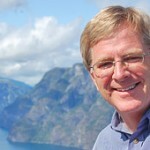 I author guidebooks for Frommer’s to Seville and Andalusia. Frommer’s recent got bought by Google and since then it’s all gone quiet. Problem is… there’s no money in guidebook publishing nowadays. Lots of reasons but partly because the masses have swallowed the tech nerds’ line that all content should be free and the crowd can give you all you need. So people aren’t buying guidebooks in the same numbers and there’s huge downward pressure on price. So publishers struggle to make money and they reduce investment in the product – the quality of the guidebook product is being slowly but surely undermined with fewer updates. It only takes one or two experiences of walking 15 minutes to get to a great restaurant recommended in a guidebook and finding it closed 2 years ago to shake your faith in the guidebook you’re using (and by extension the brand stable it comes from.) I’m seeing this in the reviews of my Seville guidebook. And it is utterly devastating. I want to update it – desparately. But I can’t. Thanks for the reply. I halfway wonder if the future of guidebooks is going LESS for the things that change constantly — new bars, new restaurants, even new hotels — and aim for the things that DON’T change? I mean, most visitors to NYC — even most repeat visitors — are going to the same things as they did 10-15 years ago: the Empire State Building, a show off Times Square, Central Park, the Met, etc. It’s easy enough to find a new restaurant on Yelp, one near you. That would allow guidebooks to transition to the digital AND in slimmer format in print. One that includes the eternal highlights and ways to access the lesser-known (Queens Museum of Art has been in NYC guides for 20+ years and is still way out of the norm). Some destinations are different, obviously — you can’t use Yelp to find a nearby restaurant in Mrauk U, Burma. Not yet. And that’s sort of my biggest worry — that lesser selling guidebooks of far-flung places get cut first (African titles, Central Asia, Middle East etc; note the pairing now of Bulgaria and Romania in one book by LP, a step backwards in my opinion, and contrary to travel trends). Yet those are the ones that tend to warrant a print copy the most. Meanwhile the places that are easiest to travel to with a digital phone (the Parises, the New Yorks) will keep their print versions longest. Glad it’s not my job to figure that out! I had this conversation a bit with my former editor at Frommer’s when we were revising Andalucia. 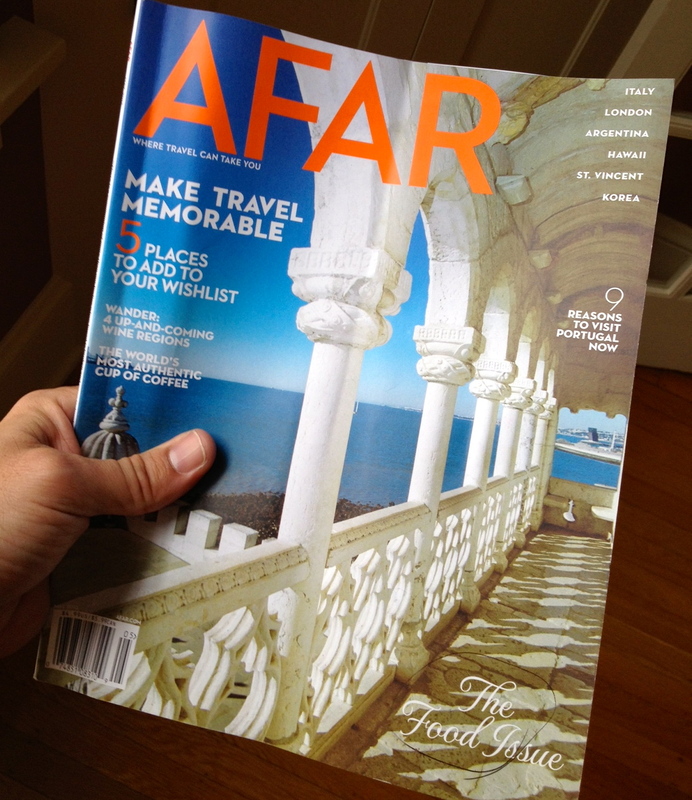 I took on an old issue stacked with write-ups of restaurants and hotels. We elected to chop it right down to just the top 10 or so for each place for each category. It’s a waste of space to do more and people can find more up to date info on line. I grew up with, Mexico on $5.00 A Day and have used guidebooks ever since that first winter in Mexico back in 1972. I am an independent Guidebook author, a bit of a throw-back to another time. I feel like an endangered species. I have written three editions on The Cook Islands, the most recent being an e-book. I am finishing my second edition of my Palau Guide and plan on making it also an e-book. I am currently updating my Caribbean Guide and plan on it also being an e-book edition. I receive monthly payments from Amazon, B&N and Kobo, directly to my bank account, granted Lonely Planet is not scared of my sales, but my royalties are growing and I plan on creating other guides. I agree with Robert and think that if people read guidebooks BEFORE visiting a destination they would know which line to get into in Rarotonga and save half an hour at Immigration after a 12 hour flight, a time saving that more than pays for the $5.99 cost of the guidebook. In any case Robert, keep at it and keep traveling, it is a big wonderful world out there. Love that the e-book world is working for you. That’s a temptation for all. To be honest, several years ago I tried to recruit a handful of guidebook authors to create a “Southeast Asia” guidebook from scratch, available online — this was about 10 minutes for e-books or apps got going, so it was hard to imagine. I created my own free guidebook to Vietnam, here on reidontravel.com, but it got hacked somehow and all was lost. But always felt that guidebook authors themselves are one-person stops of authority of a place. They don’t really HAVE to have a company put it together for them. Glad you’re doing it. I learned the value of the guidebook this year. On the ferry from Turkey to Rhodes, I lost/left/forgot my Greece guidebook onboard. We stepped off the boat and I felt a sense of separation anxiety. We suddenly didn’t have the map of town and had no idea where we were going. We sort of made an experiment out of it. Can we survive without a guidebook for our 24 days in Greece? We were okay in Rhodes and Symi without the guidebook, but before heading to Crete we downloaded the Crete and Athens sections of Lonely Planet for the iPad and quickly realized how useful they were again. We found out-of-the-way places in Crete we’d otherwise have not found and trying to travel through Athens without the aide of a book is foolish. 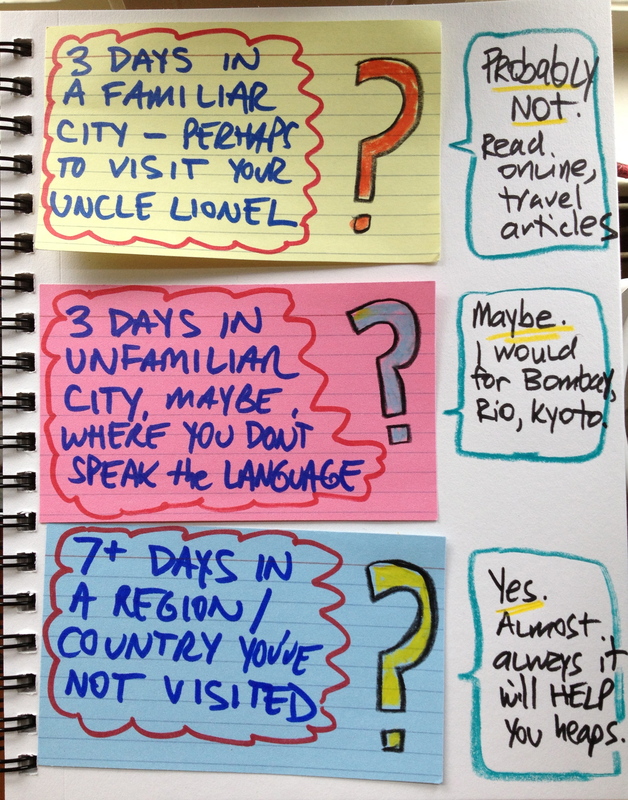 You make a great point about the usefulness of a guidebook being in pre-trip planning. I absolutely love reading guidebooks and planning out my trips before I go and I have always thought that they saved time, money and hassle on the road. I have to say that I rarely look at them for accommodation or food anymore. Booking.com has photos and up to the minute reviews and I prefer to just find a busy restaurant and eat there. I completely agree with you – I love my guidebooks as a concise, single location to get overview information and help decide what things I am interested in. You can then use other resources to further research if you need/desire.